The inherent dangers of Black Friday shopping excursions are well-documented, particularly at Wal-Mart. Remember that Long Island Wal-Mart employee who got crushed under the feet of hundreds of Black Friday shoppers in a fatal stampede a couple years back? Well, one shopper did, and she prepared herself for shopping combat accordingly with a can of pepper spray. 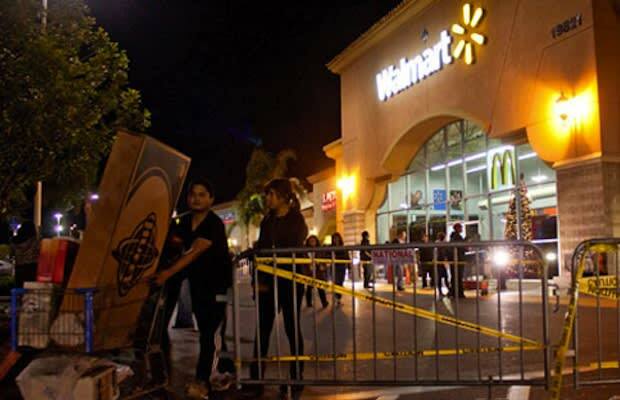 When an employee brought out a crate of discounted Xbox consoles, she let everyone in on her plan of attack by spraying over 20 shoppers in a desperate grab for deals. For the shoppers left with burned retinas, take consolation in the fact that she&apos;ll never know another guilt-free round of Call of Duty.